24 Mitsubishi Type 13 B1M3 attack aircraft (+4 spares) and 12 Mitsubishi Type 10 2MR reconnaissance aircraft (+4 spares). 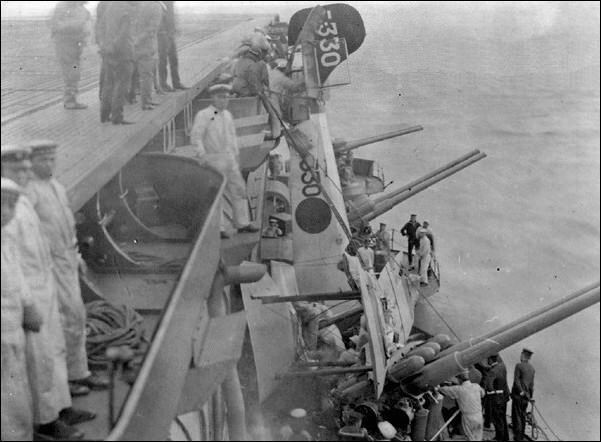 However, IJN Kaga doesn’t get her aircraft aboard before November 1929. No catapults are fitted. Her arresting gear is the British longitudinal wire system. 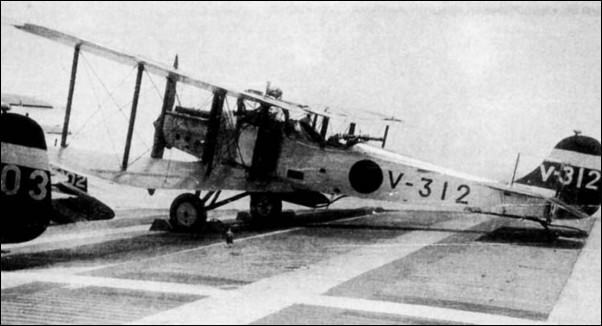 NI-202 was flown by a wingman of carrier IJN Kaga, 1929. COLOR PROFILE CREDIT: book Mechanism of IJN Aircraft Carriers, volume #2, by publisher Kojinsha. 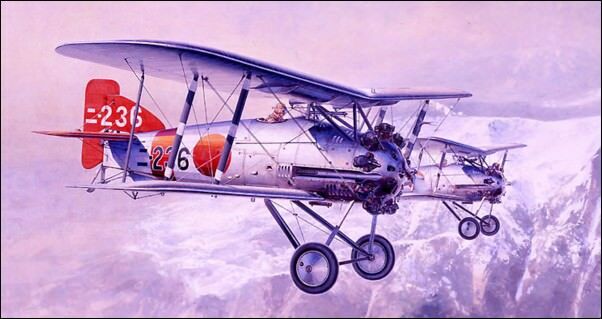 NI-212 was flown by a wingman of carrier IJN Kaga, during Mukden Incident, Manchuria, September-November 1931. 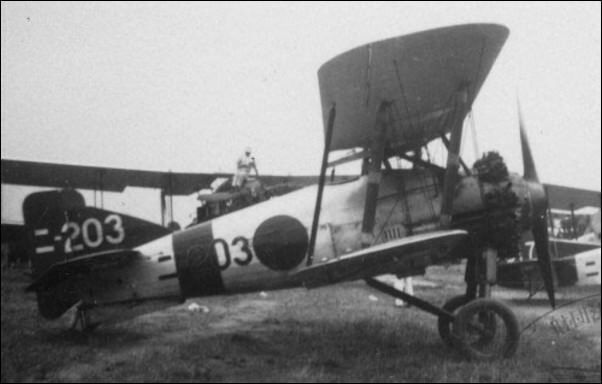 NI-205 is the A1N1 version and was flown from carrier Kaga at Japan, 1931. Rear Admiral Kato Takayoshi, also consisting of light carrier HOSHO. Note the addition of one red vertical band. MODEL ART #510 – Camouflage and Markings of IJN fighters, by Shigeru Nohara. 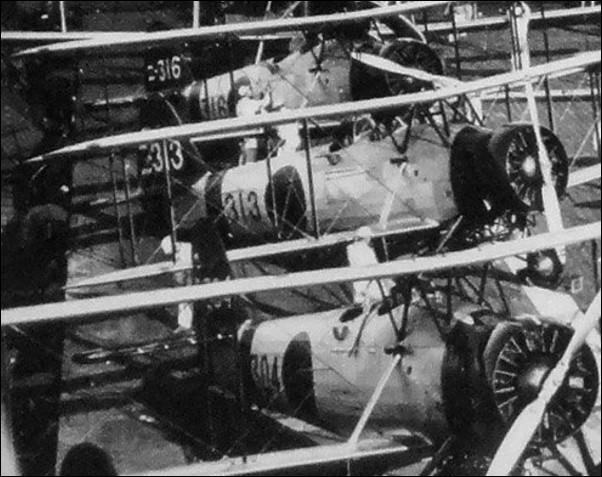 NI-206 is the A1N1 version and was flown from carrier Kaga at Japan, 1931. 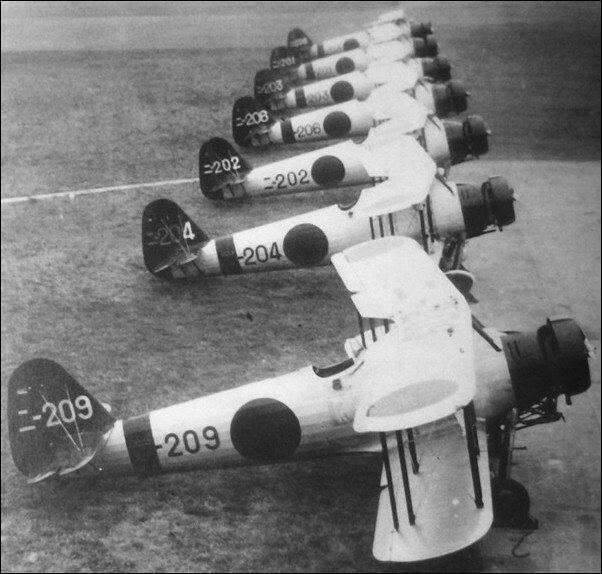 NI-208 is the A1N1 version and was flown from carrier Kaga at Japan, 1931. 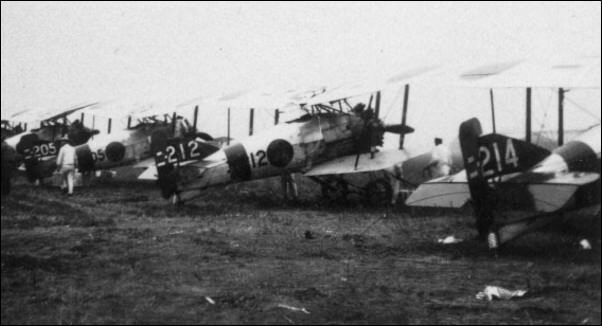 NI-212 is the A1N1 version and was flown from carrier Kaga at Japan, 1931. 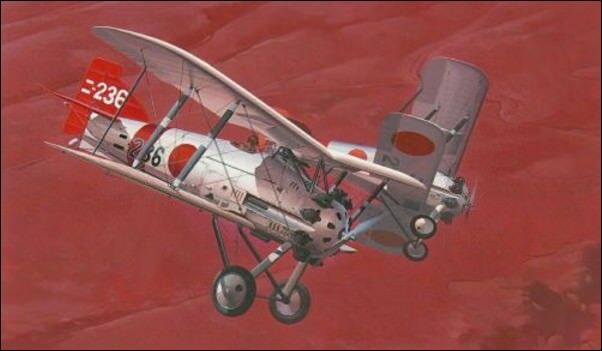 NI-214 is the A1N1 version and was flown from carrier Kaga at Japan, 1931. 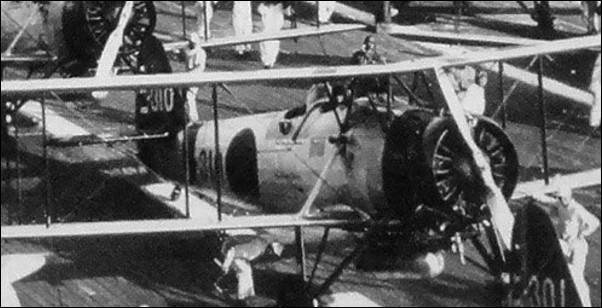 NI-203 is the A1N1 version and was flown from carrier Kaga during First Chinese Incident, 1932. 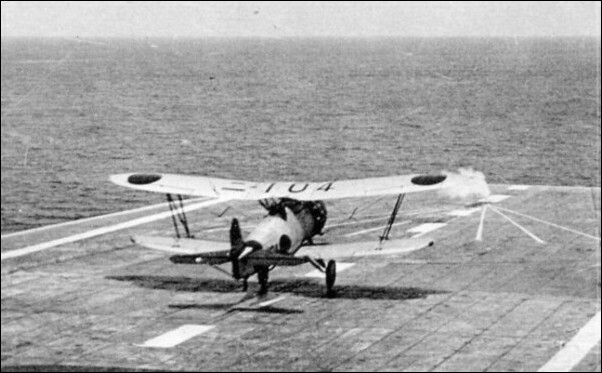 The Nakajima A1N, or Navy Type 3 Carrier Fighter was a Japanese carrier based fighter of the late 1920s and early '30s. the Imperial Japanese Navy. Approximately 150 were built in total. Nakajima, Mitsubishi and Aichi for proposals for a new carrier based fighter. 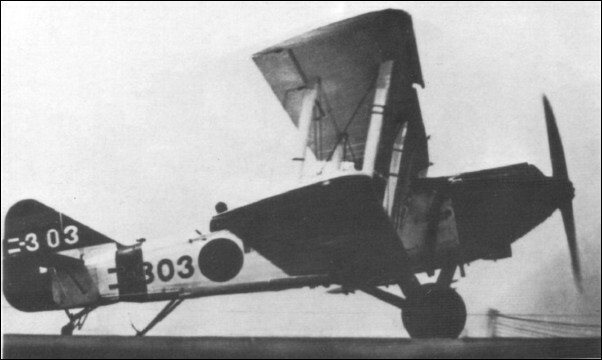 NI-204 is the A1N1 version and was flown from carrier Kaga during First Chinese Incident, 1932.
a private venture by the company for a carrier based derivative of the Gloster Gamecock. 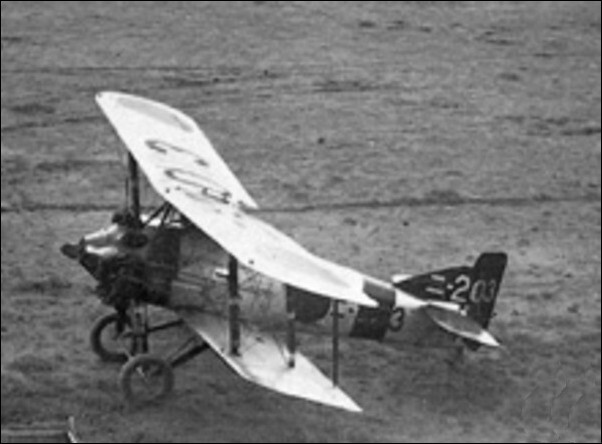 The first prototype Gambet was built by Gloster and flew on 12 December 1927. The prototype Gambet was shipped to Japan early in 1928.
navy against the competitors from Aichi and Mitsubishi, proving more manoeuvrable and a stable gun platform. 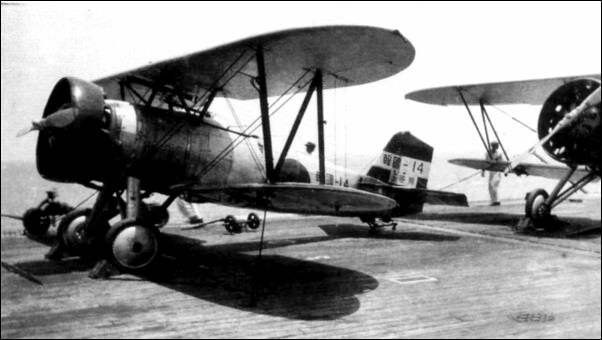 NI-210 is the A1N1 version and was flown from carrier Kaga during First Chinese Incident, 1932. 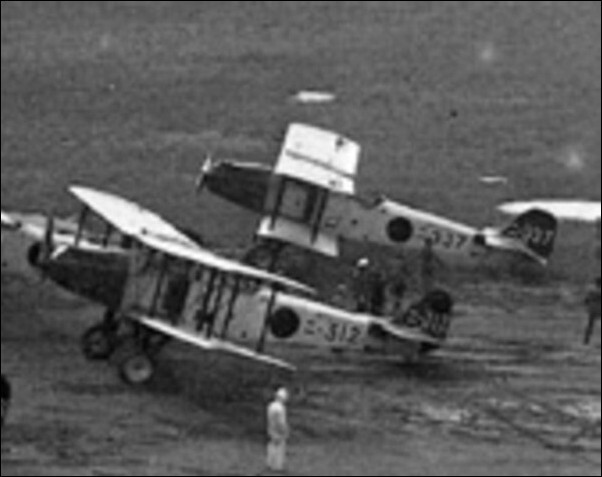 The A1N1 entered service in 1929, replacing the Mitsubishi type 10 (1MF). It served on the carriers Hosho, Akagi, Kaga and Ryujo. 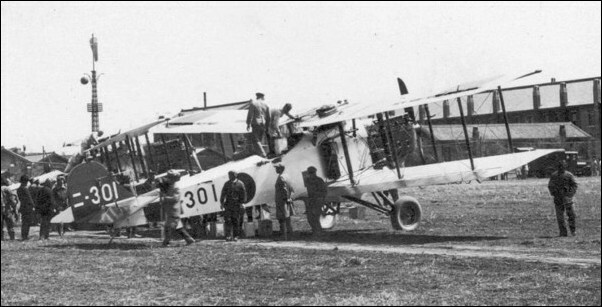 The improved A1N2 entered service in 1930, with production continuing until 1932. 22 February 1932 when they shot down a Boeing P-12 flown by the American volunteer pilot Robert Short. 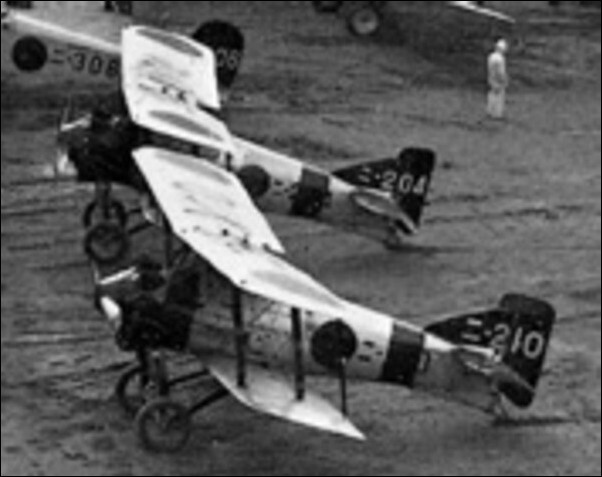 A1Ns continued in service until 1935, being replaced in service by the Nakajima A2N1 or Navy Type 90 Carrier Fighter. This photo shows B1M bombers on fly deck. 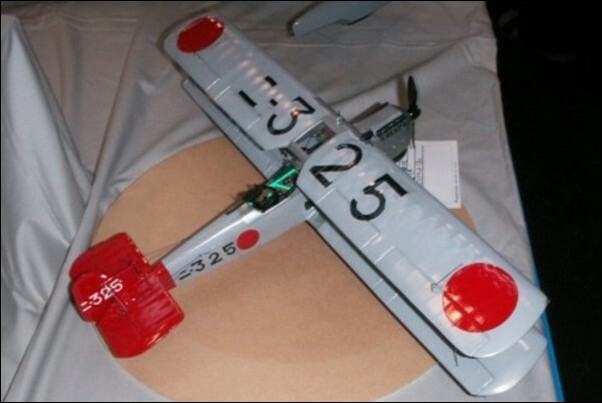 NI-236 is the A1N2 version and was flown by a shotaicho Lt. Nogiji Ikuta, from carrier Kaga during First Chinese Incident, 1932.
introduced during 1930. Production of approximately 100 was completed in 1932. The Gambet was a single seat, single bay biplane, of all wooden construction and powered by a Bristol Jupiter radial engine. 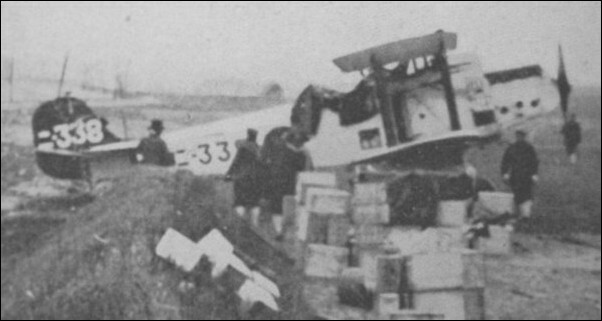 and probable on Chinese flown aircraft, making it the classic fighter during the Shanghai Incident. The three successful fighter pilots after the combat on 22 February 1932. 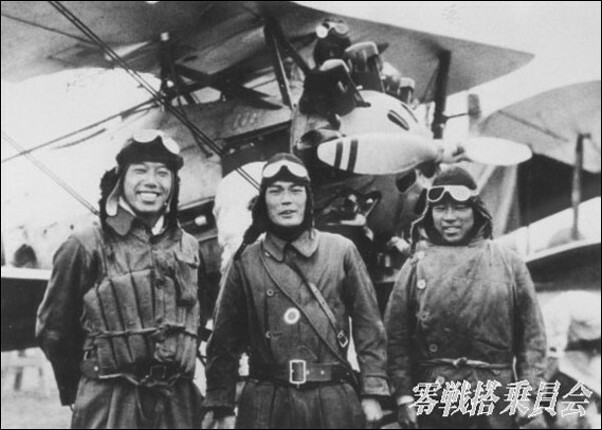 From the left Lt. Nogiji Ikuta, APO3c Toshio Kuroiwa and F1c Kazuo Takeo. NI-301 was flown by a wingman. NI-306 was flown by a wingman. COLOR PROFILE BASE/CREDIT: book Model Art # 553 - Navy Carrier Attack Bombers, by Shigeru Nohara. the American volunteer pilot Robert Short. The Boeing was shot down by the combined fire of the Japanese fighters. injured. 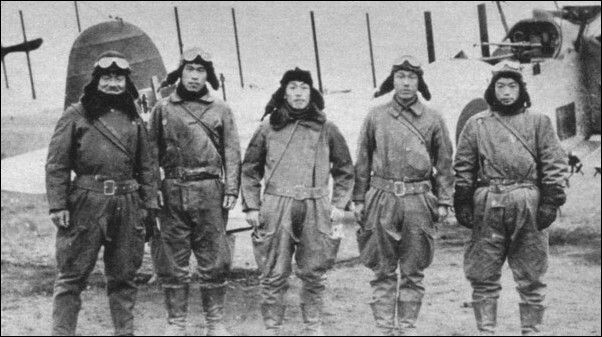 However, the pilot ACPO Yoshiro Sakinaga flew the aircraft back to its base at Shanghai. NI-312 was flown by a wingman. This is a B1M3 model. See the tail format. 197 models 2MT1-3/type 13-1 from 1923. 1 model 2MT4 Ohtori (1925). 1 model 2MT5 Tora (1926). Approx 40 models 2MT5/type 13-3. NI-313 was flown by a wingman of carrier IJN Kaga. NI-317 was flown by a wingman of carrier IJN Kaga. NI-325 was flown by a wingman. This is a B1M3 model. See the tail format. aircraft identification marking was aplied in white on both sides of the fin and in black on the fuselage sides. 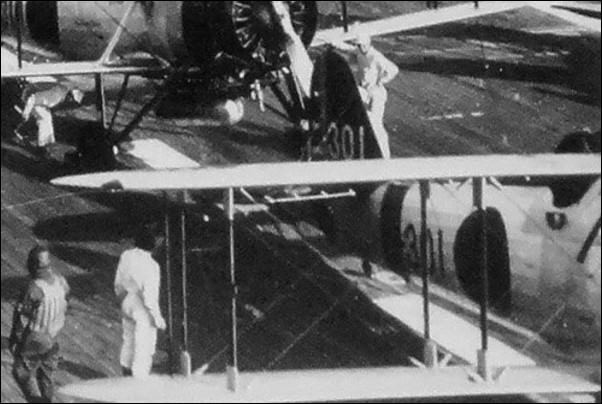 indicating the carrier ( "ni" = Kaga") and three Arabic digits indicating the individual aircraft, -325, a carrier bomber. INFO CREDIT: by Johan Myhrman. NI-330 was flown by a wingman of carrier IJN Kaga. NI-337 was flown by a wingman. This is a B1M2 model. See the tail format. NI-338 was flown by a wingman. This is a B1M2 model. See the tail format. ARMAMENT: 4 x 7.7mm MGs, one torpedo or 2 x 240-kg bombs. 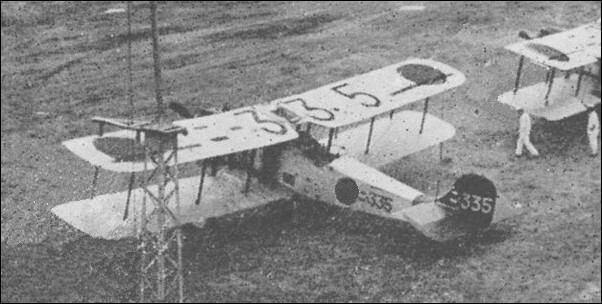 NI-260 is the A1N2 version and was flown from carrier Kaga at Japan, 1933. V-302 was flown by a wingman. This is a B1M3 model. V-303 was flown by a wingman. This is a B1M3 model. V-312 was flown by a wingman. This is a B1M3 model. V-328 was flown by a wingman. This is a B1M3 model. V-330 was flown by a wingman. This is a B1M3 model. IJN Kaga was relegated to reserve status on 20 October 1933 to begin a second major reconstruction. On 25 June 1934, at Sasebo Naval Yard, carrier IJN Kaga’s reconstruction is officially started. 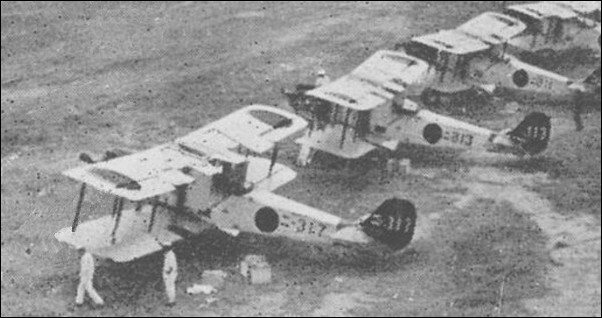 16 Nakajima A2N2 and A2N3 Type 90 fighters, 16 Aichi D1A1 Type 94 dive bombers, and 28 Mitsubishi B2M2 Type 89 torpedo bombers. 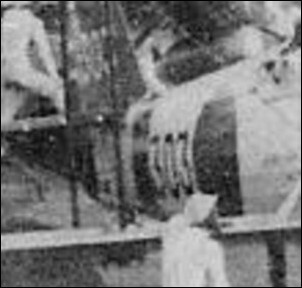 Hokoku-14 was flown by a wingman of IJN Kaga, July, 1935. 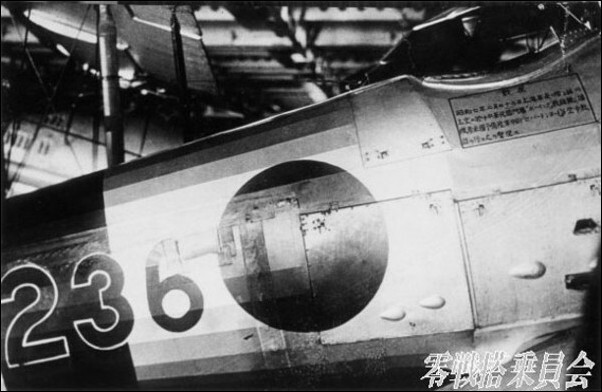 NI-283 was flown by a wingman of IJN carrier Kaga, March, 1936. COLOR PROFILE BASE: Fine Molds IJN Nakajima Type 90 A2N1-2 Carrier Fighter model kit code FNMFP-21SP Series. Box art of Fine Molds IJN Nakajima Type 90 A2N1-2 Carrier Fighter model kit code FNMFP-21SP Series. with spats and no red tail. It’s a presentation aircraft. NI-301 was flown by a wingman of carrier IJN Kaga. PHOTO CREDIT: book IJN Marshal General ISOROKU YAMAMOTO & his Air Power, by Divers, MODEL GRAFIX N°23073, year 2011. NI-302 was flown by a wingman of carrier IJN Kaga. NI-303 was flown by a wingman of carrier IJN Kaga. the 580hp Nakajima radial with the last 44 aircraft being powered by a slightly better rated Nakajima radial. INFO CREDIT: Rene Francillon, Japanese Aircraft of the Pacific War, Naval Institute Press, 1990.
the aircraft inventory of the Navy, being operated only as trainers. A total of 162 D1A1 were built. NI-304 was flown by a wingman of carrier Kaga. NI-306 was flown by a wingman of carrier Kaga. NI-313 was flown by a wingman of carrier Kaga. NI-316 was flown by a wingman of carrier Kaga. Note that one "3" has a ROUND top (tail code), and other "3" has a FLAT top (fuselage code). 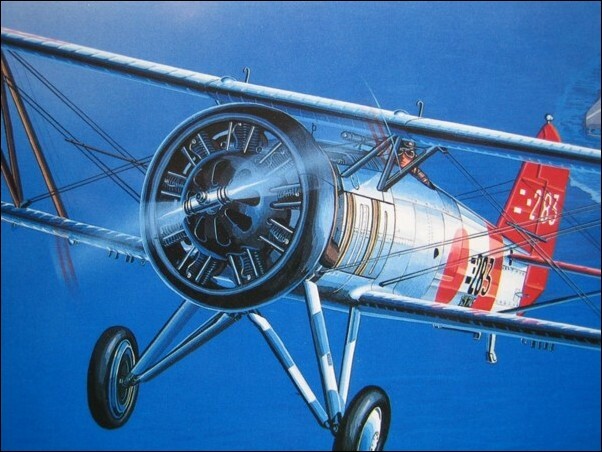 NI-395 was flown by a wingman of carrier Kaga, March, 1936.
et leurs porte-avions (1922-1944), by Michel Ledet. NI-204 was flown by a wingman of carrier Kaga. This late model of D1A1 has a different fuselage structure and is very similar to D1A2. This photo shows Kaga’s D1A1 units. Tails codes are D1A1 NI-209 (early model) and D1A1s (later model) NI-204, -202, -206, -203, -201 and -208. 2005, text in Japanese, 191 pages, many photos. NI-209 was flown by a wingman of carrier Kaga. NI-101 was flown by a shotaicho of IJN carrier Kaga, May, 1937. Note the curious white vertical stripe (shotaicho’s plane) and yellow tail codes. -200 to -299 for dive bombers and -300 to -399 for attack bombers. NI-104 was flown by a wingman of IJN carrier Kaga, May, 1937. NI-118 was flown by a wingman of IJN carrier Kaga, May, 1937. 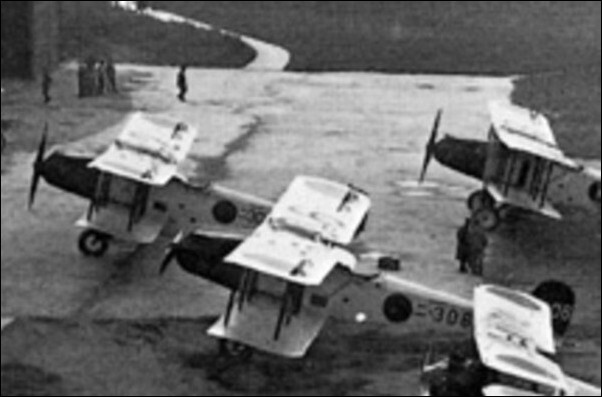 NI-303 was flown by a shotaicho of carrier Kaga, May, 1937.
photo of FAOW - Famous Airplanes of the World, number 32, page 15, January 1992, by Bunrindo Company. Total production of the B2M1 and B2M2 amounted to 205 aircraft. the Type 89 design was released by the Navy as a civilian conversion, the Mitsubishi Type 89 General Purpose Aircraft. PHOTO CREDIT: FAOW - Famous Airplanes of the World, number 32, page 15, January 1992, by Bunrindo Company. NI-350 was flown by a wingman of carrier Kaga, May, 1937. NI-362 was flown by a wingman of carrier Kaga, May, 1937.
publisher DAINIPPON KAIGA CO., 224 pages, year 2011. PHOTO CREDIT: book The carrier based airplanes & Seaplanes of the IJN, publisher DAINIPPON KAIGA CO., 224 pages, year 2011. Ni-364 was flown by a wingman of carrier Kaga, May, 1937. Ni-365 was flown by a wingman of carrier Kaga, May, 1937. COLOR PROFILE BASE: one photo of the book IJN Carrier Aircraft, Pictorial Book, publisher GAKKEN, 138 pages, year 2006. Ni-386 was flown by a wingman of carrier Kaga, May, 1937. NI-390 was flown by a wingman of carrier Kaga, May, 1937. NI-396 was flown by a wingman of carrier Kaga, May, 1937. COLOR PROFILE BASE: two photos of the book Model Art # 553 - Navy Carrier Attack Bombers.